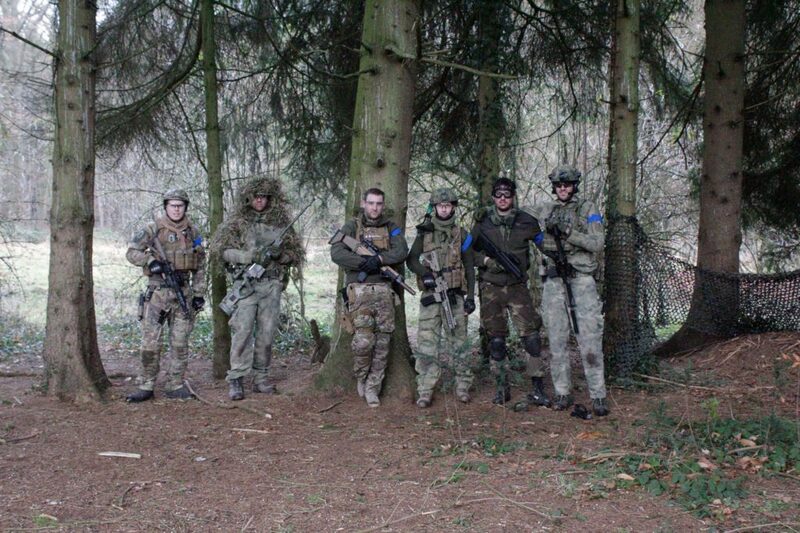 We had a great game last Sunday, our second one at the Chambers in Huy. 8 members came along and our team is growing steadily. There where about 50 people in total. The game started of with a match of capture the flag. From the get go everyone dug in to defensive positions and it was hard to cross the field without getting shot. We tried middle, left, right but all roads where blocked. About an hour into the game players started to spread out more, and we where able to escape through the middle with 3 team members. In a rush of adrenaline we closed in on the other team, taking out some guy that was too surprised to see us to fight back. We dove into the side bush of the castle giving us the stealth advantage. 2 more members of the red team where taken out by surprise. Once we cleared the back of the castle we located the flag and made a run for it. Jerome picked it up, but because we where moving so swiftly, team blue (our team) was surprised by us rushing back in and Jerome got shot by friendly fire. Myself and Sven continued the sprint back towards base. Once we cleared the tree lines and the field we finally got back to our spawn. In the afternoon the objectives changed and we had to find a communications antenna and car battery. After half an hour we got a tip that it was on the right side of the field hidden in a bush. We sneaked through the wood behind the parking lot with a group of about 6 players and took out all opposition. After scanning the terrain we finally found the equipment well hidden under the cover of some plants. We rushed back to base and set out immediately again to the black flag planted in the middle between the buildings. The antenna was connected and the mission was won. We got the additional mission to find 5 packs of cocaine. Our team split up and we informed the other members of team blue they had to locate and report back any packages they found. Just half an hour later all 5 packages where found and we won our last mission. Overall I have to say I’m proud to play alongside you all! Way to go!